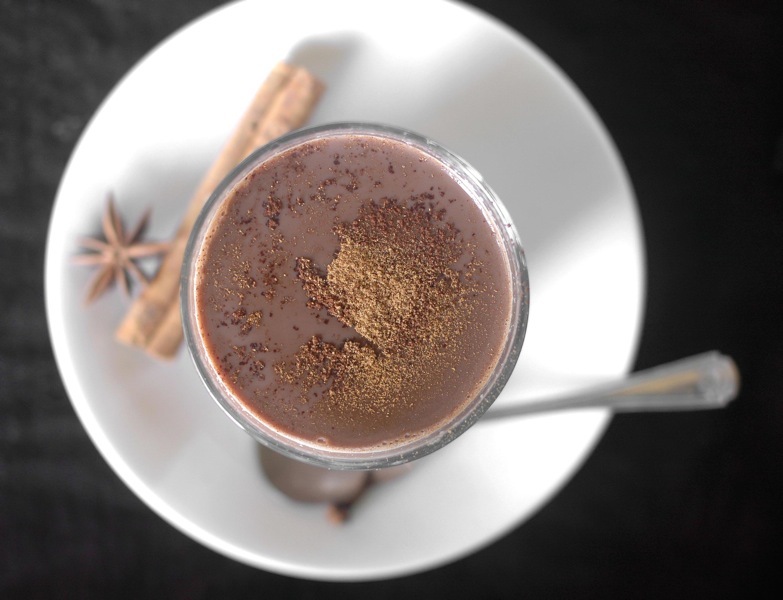 Here’s a hot chocolate with a twist! 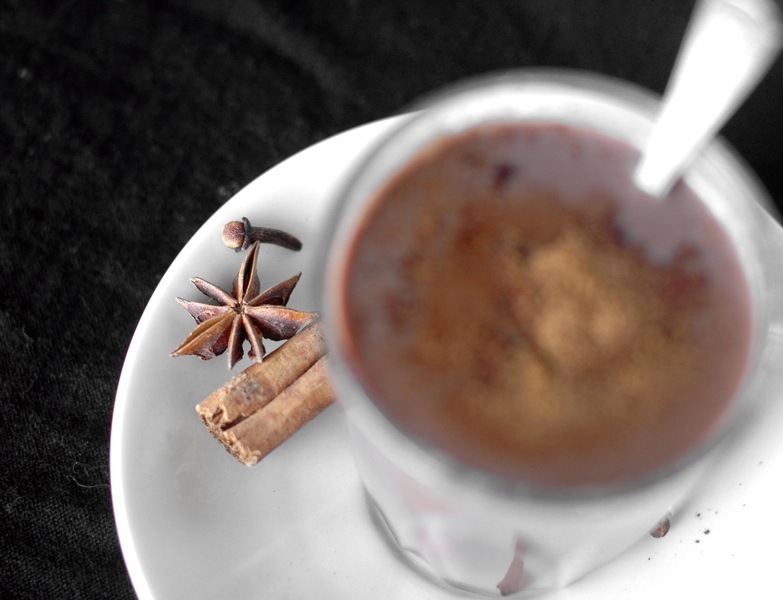 Aromatic with spices, rich with cocoa powder, sweetened with a little sugar and made with Bonsoy it’s certain to warm you up. Tweak this recipe to suit your tastes… mix up the spices, adjust the sweetness to your taste and use your favourite milk. Enjoy! Place clove, cinnamon quill, star anise, nutmeg and salt in a small saucepan with 100 ml water. Bring to the boil then simmer, covered, for 10 minutes. Strain to remove spices then return liquid to saucepan with Bonsoy, vanilla, sugar and cocoa and whisk briskly to combine. Bring the hot chocolate to scalding point over a medium heat, stirring so that it doesn’t stick, then pour into serving cups and dust with a little ground cinnamon and cocoa.